Fluoride is a chemical element present in nature. In food, it is found in foods with a high concentration. It is the most recommended product to prevent one of the most dominant diseases: dental caries. Fluorine inhibits the metabolism of bacterial plaque and alters its composition. It also inhibits the ability of bacteria to metabolize carbohydrates, reducing the acid they produce. This chemical element also decreases the pH of the oral cavity. In this way, it favors re mineralization with transformation of hydroxyapatite into fluorapatite. When fluoride is applied topically in high concentrations, it can be achieved that a larger amount of the fluoride ion is deposited on the enamel surface. When this ion reacts with the calcium in the saliva and forms a precipitate of calcium fluoride, the resistance of the surface enamel to the demineralization will increase. In addition, the re mineralization of the enamel is promoted, promoting the inclusion of calcium and phosphate in its structure. The fluoridation of the waters, the use of toothpastes with fluoride, fluoride tablets and rinses and professional varnishes are the most common applications of fluorides at children ages. All of them can, in addition to optimal dental health, prevent tooth decay. The use of toothpaste with fluoride is the basic recommendation to prevent tooth decay. Between 6 months and 2 years it is recommended to use a toothpaste with a concentration of 500 ppm of fluorine. Between 2 and 6 years, toothpaste should contain between 1000 and 1450 ppm of fluoride. After 6 years, the toothpaste should exceed 1450 ppm of fluoride, since the swallowing reflex is unsaturated and the systemic risk decreases. 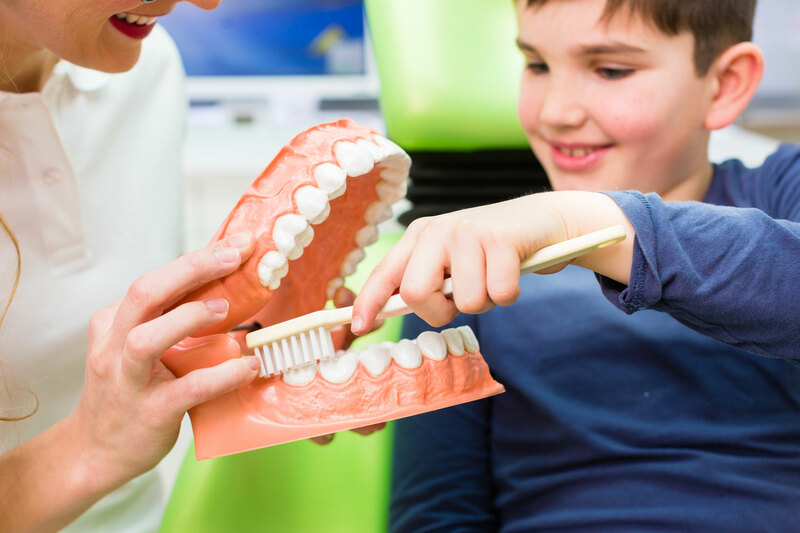 However, we are faced with cases in which tooth brushing is not carried out according to the established recommendations, or the risk of caries of the child is high. This is when additional sources of fluoride may be useful. As for example, fluoride pills (in a supervised way) to prevent caries in those children at high risk. Daily use: they contain 0.05% sodium fluoride. Weekly use: contain 0.2% sodium fluoride. The varnishes for professional use, on the other hand, are those products that can only be used in the dental clinic. The concentration of the fluorine ion is between 1000 and 56300 ppm. It is an effective type of prevention of caries in both primary and permanent teeth.